If you’re in business, you need a website. It’s that simple. Your website is the hub of your marketing machine. For small businesses and upstarts, outsourcing web development can be a significant investment and one that is difficult for many such businesses on a budget. But fear not – there’s no need to spend a lot of money on a website. These days it’s different. With professionally designed themes, drag and drop builders, and many best practices being provided by the hosting platform, just about anyone can build an attractive, functional website without breaking the bank. And that’s good for small business owners, because now you can put those funds toward driving leads and other marketing efforts. You just need to find the right tools and resources. Now, just because it’s become less expensive to build a website and much easier for the-do-it-yourself-er doesn’t mean there isn’t a steep learning curve. There is! But with the help of Google and YouTube, you’ll likely be able to find tutorials for just about anything you’ll need to do. Just be prepared to spend some time on it – maybe as much as a few weeks, depending upon a few considerations that I’ll get into below. If this sounds too scary, then hiring a developer might be the way to go. Another option would be to sign up for our Build Your Own Website Workshop or download our Build Your Own Website Guide. If you decide to hire a developer, I recommend you work through a service portal such as Fiverr.com or Upwork.com. These platforms provide all of the mechanisms to prevent you from being scammed. The small fees they charge for the service are more than worth it. If you’re game to go it alone, then let’s get into it. The look and feel of your website should be driven by a few factors. First, if your company, product, or service is branded, your website should reflect the brand. This includes your logo, typography, color scheme, values, and voice. Including an about page is a good way to show your customers who you are and what you stand for. SEO stands for search engine optimization, and you need to keep it a top priority throughout the entire process. Your site needs to be discoverable, that is, no one will ever see your site if you don’t design it around being found through search engines, like Google, Bing, and Yahoo. Google is very concerned with delivering a good user experience, so in order for your site to rank high in Google’s search results, your site needs to be designed to provide the user a good experience on your site. Keywords are one of the most important factors in SEO and understanding how to implement them throughout your website will help you rank high. Google is wise to people who try to game the system and will penalize sites that use black hat techniques like keyword stuffing, so spending some time learning how to properly select and use keywords is a must. If you’re in a very competitive niche, selecting the right keywords will be even more important. Organizing your site for a good user experience is essential. For some businesses, such as this website, it’s fairly straight-forward and simple. The consulting, training, and services we offer are a relatively short list. We have pages that inform the user what we do and we educate our visitors through our blog. For others, such as an online store, it can be quite involved. With hundreds or thousands of items for sale, organizing a site that creates a good user experience is extremely important. Depending on the complexity, it could be in your best interest to outsource your web development to a professional. If you want to take on the challenge, then getting smart on information architecture is a wise decision. Don’t be afraid to peruse the Internet and look for good examples that you can emulate. Don’t copy or plagiarize. Search engines look for duplicate content and if you copy a competitor, both you and they could be penalized. Tools like Copyscape can help identify whether a site’s content has been duplicated. Still, there’s nothing wrong with getting ideas by seeing how others have designed their sites. It can be tempting to design around aesthetics, and they certainly can be important, but don’t forget about user experience and function. You can also do this by looking through your theme’s layout packs, if it provides them. This is one of the reasons I use and recommend the DIVI theme by Elegant Themes. There are two kinds of platforms, essentially, for building a site. First there are content management systems (CMS). Content management systems are software that allow you to create, store, and otherwise manage your website content. The site content is stored on a server, either remotely or on your own server. This is what is referred to as “hosting.” Two popular hosting services are BlueHost and HostGator. Flywheel offers great hosting as well and also has a super-cool local desktop development environment called, appropriately, “Local”, which is a free download. The cool thing about Local is that you can develop your website right on your machine then seamlessly transfer it to a live hosting platform, either Flywheel’s or another. That way you can make changes, install different plugins and thoroughly test things before you go live. Once live, you can continue to do all of your updates on the local machine then, when they’re good to go, push them to the live site. If you want a host that offers an array of tools besides basic hosting, I recommend you check out the Digital Business Lounge. WordPress, Joomla, and Drupal are popular content management systems. One big advantage of CMS’s is that they offer control of nearly every aspect of your website. Another advantage is that they can be hosted on any server. Once upon a time, building on these platforms involved knowing how to code, but these days there are lots of themes that offer intuitive drag and drop builders that don’t require the user to know coding at all. WordPress now comes with an option to install the new Gutenberg Editor which should improve on the legacy editor. The second type of platforms are website builders, such as Weebly, Wix, Squarespace, and Shopify. These builders are proprietary and are hosted on their own servers. Their advantages are ease of use, intuitive interfaces, and tasks such as maintenance and backups are taken care of by the hosting agency. For a more in-depth comparison of CMS’s and website builders, check out Elegant Themes blog post on the topic. For the remainder of this article, I’ll be focusing on building a site with the WordPress CMS. A domain is simply the name of your site, such as southernarizonadigitalmarketing.com. There’s more to choosing a domain name than simply coining a catchy word or phrase. Some iconic brands with made-up names, like IKEA, Google, or Snopes, have the luxury of being instantly recognizable, because they’ve built a powerful brand around it, but for most of us, we need to follow a few guidelines in selecting a domain name that will serve us well. Here are a few tips. Choose a name that says what you do. When people search for products or services, they’ll use keywords. Including likely keywords in your domain name will make you more discoverable. If you have a regional business, consider choosing a name with your city, region, state, etc in it. This will help you rank well in local search. Make it easy to type. This will help to keep people from mis-spelling it. Avoid slang, jargon, or intentional mis-spellings, i.e., “Extreme” vs “Xtream”. Avoid numbers and hyphens. People won’t know whether to spell out the number or use a numeral. Make it easy for them by avoiding them. Avoid any copyright infringement. Do some research first and make certain you won’t have a legal fight on your hands later. Check out GoDaddy’s post on the topic. WordPress is an open-source website creation tool written in the PHP programming language. Don’t worry, you don’t need to know PHP to use WordPress. It’s free and probably the most widely used and powerful CMS there is. Installing it is easy, with most hosting platforms having a one-click installation. Personally, I use the Digital Business Lounge for all of my hosting, because in addition to hosting, they also have an impressive array of tools that I use for everything from creating graphics, generating video embed code, a sales funnel creator, and a complete suite of SEO tools among other things. Whatever hosting platform you choose, installing WordPress will be very straight forward. Themes provide the overall look and feel of the website. There are literally hundreds to choose from. 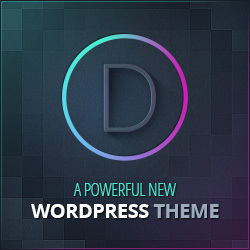 The one I recommend most for first-time website builders is DIVI, from Elegant Themes. DIVI features a powerful drag and drop builder that greatly simplifies building your site. They offer scores of pre-made layout packs to choose from that will also greatly simplify design for the first timer. The folks at Elegant Themes provide incredible support by providing a complete library of tutorial videos and blog posts to help you through any aspect of using their products. Although I’ve built many websites, I still choose to use DIVI simply because it makes things easy. Plugins are software modules that are installed on your WordPress site that provide specific functionalities. There are thousands of plugins available. Depending upon what your website needs to do, you won’t need more than a few plugins. Just be sure you select plugins that are frequently updated, used by lots of other people, and receive high marks from it’s users. Check out this video to show you what I mean. At a minimum, I recommend you install plugins for the following key functions. Security. Site security should be tops on your list of priorities. I use Wordfence to easily setup firewall and run regular security scans. You can set it up to email you alerts of site issues. Search Engine Optimization (SEO). I recommend using All in One SEO Pack, but there are others that work just as well. Image optimization. Images are a big factor in page speed and website performance. Before uploading images to your website, you’ll need to size them properly and save them in the correct format. Once uploaded, they need to be properly compressed. Image optimization plugins compress your images to enhance performance. A couple that I can recommend are EWWW or ShortPixel. There are many others to choose from, as well. An alternative to using plugins is to compress them before uploading. You can go to optimizilla.com to easily do this. It’s a simple free service. Akismet anti-spam. Protects your site from malicious content in form messages, trackbacks, and comments. GDPR Cookie Consent. The General Data Protection Regulation is legislation that was passed in the European Union to reform data protection for consumers. This plugin won’t make you GDPR compliant, but does provide tools that you’ll need as part of your overall compliance plan. DIVI 404 Page Builder. Occasionally, visitors to your domain will enter a URL incorrectly, attempt to visit a page you’ve deleted or moved, etc. When this happens, they’ll receive a 404 message, standard protocol for “page not found” in Internet speak. Often, the 404 pages that come as part of a WordPress theme are not very attractive. This plugin will allow you to create a stylish 404 page to work with your DIVI theme. Redirection is a plugin that helps you manage 301 redirects. Over time, you’ll likely move or delete old pages or posts on your site. Those who’ve bookmarked your old pages without redirecting them to new content or your new location would otherwise get a 404 “page not found” error. Setting up redirects will send them to your updated content. WP File Manager. Provides features to edit, delete, upload, download, copy and paste your website files and folders. This may be over your head in the beginning, but when outsourcing your final website page speed optimization, some type of file manager will be necessary for your developer. This could also be handled via an FTP application such as FileZilla. WP Rocket. Your website needs to be fast. If not, visitors will bounce (that means leave your page before it loads). WP Rocket will make it fast. If you decided to build with DIVI, then you’ll be able to select from among a complete library of pre-designed layout packs. Check out this quick video on this feature. Leveraging professionally designed pre-made layouts like this will save you massive amounts of time building your site and, for most of us, result in a much more beautiful design. If you’re good at design or have one in mind, then go for it. With pre-made themes and layouts, you simply replace the default content with your own. You can replace text, images, and any other feature from the pre-made layout. You can apply all of your typography and color schemes at the theme level, as well as take advantage of the bulk editing feature. Be prepared to spend some time learning how to use the editor, no matter whether you choose a builder such as DIVI, another such drag-and-drop builder or the standard WordPress Editor. There are plenty of quality tutorials online that can help you learn. When uploading images, it’s best to size them appropriately before you upload them, even if your image optimization plugin has a resizing feature. I use GIMP, a free open source graphic design software, but there are plenty of online tools that you can leverage. Take a little bit of time to learn about image file formats to ensure you’re using the best format for you images. Once you’ve completed your content, it’s time to optimize your site for SEO, speed and performance, as well as begin capturing all of that valuable site visitor information. FaceBook, Google Adwords, and others offer incredibly targeted advertising capabilities. But to take advantage, you need to install tracking codes on each page of your site to pixel your visitors as they land on your pages. You’ll be able to build custom audiences based on their actions on your website, making your remarketing highly effective. This is where the All in One SEO Pack will really make things easier. Setting up your pages and posts to take advantage of keywords, meta descriptions, and using alternate text and keywords in image titles are all important SEO best practices. Consult your plugin help files to become knowledgeable. Google and other search engines are very concerned with the mobile user experience. As you build and optimize your site, take advantage of your theme’s preview feature, which allows you to see how your pages will appear on a mobile device, as well as tablets and desktops. Use the Google mobile-friendly test tool to see how they see your page’s mobile usability. Check out each page of your site. Google has endorsed the Accelerated Mobile Pages (AMP) project very strongly and ranks sites that implement in favorably, so it deserves attention. Plugins like AMP for WP make it easy to implement. As with any plugin, be advised that you may have to work through any conflicts with themes and other plugins. When you’ve got your site where you want it in terms of content, mobile-friendly design, and SEO, it’s time to speed it up. People have little patience with websites that don’t load very fast. If your site is slow, people will simply leave and find a competitor’s website. Hopefully, since you’ve followed some best practices to this point it’s already pretty fast, but we want to make it the best it can be. Use a Content Delivery Network (CDN) such as CloudFlare. You can sign up for free if you only have a handful of websites. CDN’s cache content and deliver it from sites around the world to reduce server response times and latency. Add expires headers to your .htaccess file. These are instructions to a site visitor’s browser to not request certain files each time they visit depending on when you tell it you want the files to expire. This will reduce HTTP requests for files that don’t change and leverage files the visitor’s browser has already stored in it’s cache. Serve scaled and compressed images. *Download our Build Your Own Website Guide for a more complete list. There are a couple of options for completing the final optimization. First, you could do it yourself with plugins like WP Rocket, AMP for WP, and others. Be warned: although not difficult, you’ll need to take the time to go through some tutorials and familiarize yourself with this process. There’s a chance you’ll encounter plugin conflicts along the way, so you’ll need to be systematic in your implementation. Because the final optimization of your site can be a little technical, I recommend a couple different approaches. First, consider downloading our WordPress Speed Video Course. It will walk you through each step of optimizing your site. Since it’s a download, you’ll forever have the videos, transcripts, and html files for reference. It makes optimizing your site pretty easy. Also, check out our video tutorial on how to setup the WP Rocket plugin. WP Rocket is, in my opinion, the easiest plugin to optimize a website. Another thing I like about it is you can save and export your settings as a file. That way should you build another site or need to restore your settings for any reason, you simply upload the settings file. AMP offers the same feature. Finally, you can use freelance portals such as Fiverr.com to hire developers who specialize in these services for very low rates, often as little as $30-$50. It’s well worth the money. Just look for gigs that advertise they will increase the speed of your WordPress site. Be advised, though. If you hire out your optimization without knowing the ins and outs yourself, you don’t really know if you’re getting what you pay for. Plus, should you need to optimize again as your website changes, you may need to hire someone to do the work all over again. Optimizing your site really isn’t that difficult if you follow some simple steps such as what you’ll find in our WordPress Speed Video Course. Now, it’s time to let the world know you exist. To do that, you need to inform the search engines about your site. You’ll first need to sign up to the Google Search Console. From the home page, scroll down and locate the “Get your website on Google” link. Once our account is setup, you’ll need to add your site, also referred to as a “property”. Then, once your property has been added and verified, you can submit your sitemap, which is very simple. You’ll also want to do the same for Bing. Watch this quick video. Although it may seem quite technical, building your own website is a project that most people can accomplish with a bit of determination and research. If you’d like help, sign up for one of our Build Your Own Website Workshops. Download our Build Your Own Website Guide. Need help? Contact us. All the steps, tools, and resources you need to build your own WordPress website. Hi Scott, quite a complete guide about the list of thing to consider when getting up running with marketing online. Thank you for the various links to follow up resources and the list of plugins. I had worked with Joomla and Drupal and I came to the conclusion, they are not very suited for online marketing as many plugins in this sector are written for WordPress. You’re welcome, Christian, and thanks for the comment. You might also want to check out my response to Jennie’s comment. I’ve never developed in Joomla or Drupal, so I have no insights to offer there. Thanks for educating us on those limitations. More and more, I’m trying to minimize the use of plugins, although, they are one of the most powerful aspects of WordPress. An area I’m exploring is using static sites, as opposed to WP. They solve some of the security issues as well as being super-fast. They do have some limitations, though, with respect to handling ecommerce. If you have any insights on that, would love to hear them. Hey Scott. Thanks for such a comprehensive guide! I`m going through the Divi training right now through Digital Business Lounge. It`s a lot to learn, but it really helps to see someone else`s advice to make sure I have all the options considered. You have some really useful links there as well. You’re welcome, Jennie, and thanks for the comment. I’m going to do an update soon to this blog post, as the wonderful world of WordPress is ever-changing. Divi and WP just made some updates a few days ago that are really user-friendly. A tool I’ve found really helpful lately is Local by Flywheel. Scroll to the bottom of the page and click the “Local development” link under “Features”. It’s a free download and you don’t have to host with Local to use it. It’s a local desktop development environment that allows you to build your site on your local machine rather than on a live server. That way, you can do your development work, then when it’s ready, push it to the live server. It’s super easy to do using the All-In-One WP Migration plugin. Drop me a note any time, if you need assistance with your website development.